Think Beyond Yoga Studios. Use Yoga lessons to replace Detention in our schools. Teach Yoga for the many reasons that it would benefit our children. Schools in Denver, Colorado have changed how detention time is spent on children who misbehave in class. In March 2018 schools in Denver changed detention time into yoga time for many reasons. They chose to use yoga for the health benefits. These health benefits cover both physical and mental aspects of the children who are misbehaving. The end goal is to help improve the health of students. It also helps to reduce the number of occurrences of detentions and aids the teachers along the way. The only struggles currently with the switch have been involving whether or not students want to participate in yoga. Something that easily changed when they saw the results after participating! Every day parents worry about whether or not their child receives enough nutrition and exercise. These are the two fundamental worries almost all parents have. One way to help these worries is to include more exercise into daily activities of children during school. Look beyond Yoga as only being taught in studios. For example, instead of sitting in detention, students can move through yoga sequences and learn to work out their aggression and emotions. There are numerous options for participating in yoga from Meditation to Sequences. The options can be custom tailored to fit each child’s specific needs. Yoga has been shown to have numerous health benefits for adults through spiritual, emotional, and physical practices. Yoga helps to reduce stress for many users as well as help to improve muscle composure of participants. Other benefits of yoga include lessened risks of high blood pressure, Type 2 Diabetes, and high blood cholesterol levels. By simply replacing detention time with yoga sessions, students are improving their health immensely. While sports and exercise are very good for children, many children feel pressured to participate in sports. They feel pressure from parents, other family members, and peers as well. That is why yoga is so beneficial for children because it allows them to exercise in a non-competitive and less aggressive form of physical activity. It is also a way to exercise without judgment. Yoga allows students to build self-esteem and positive thoughts about themselves. Physical health is vital to children’s overall health as it translates to preventing and lowering risks of numerous diseases. Mental health is a major problem for many students in today’s school system across America. Awareness has been spreading in frequent years to help others realize the negative issues surrounding mental health issues. Going beyond yoga as just a form of exercise brings us to the emotional and mental health of our children. They suffer from low self-esteem, depression, anxiety, and other mental disorders. Through reflection and mindfulness, students can have a better appreciation for themselves and their bodies. This allows them to overcome their issues in a positive way. Another way to help combat this problem is through mental health excises like meditation and mindful reflection of students to help ease social and anxiety-related behaviors. One out of every five children show signs of diagnosed mental problems. That is a large majority of students to be suffering from illnesses that can be improved simply through yoga and meditation. A study by JAMA Internal Medicine in 2014 suggests that mindfulness meditation will help to ease psychological stressors such as anxiety, pain, and depression. Although this study has not yet been concluded for children, it leads many to believe it will offer the same benefits for children. Through more research, like the programs in Denver, we can see just how beneficial yoga is for children. Yoga should be studied in children. The reason being that many children come from stressful family situations and need to find a calming experience away from home. Obesity is an increasing problem for our youth throughout American, it is another growing and rising problem children face daily. Many programs try and get more children involved in sports and other physical activities outside of the classroom. The benefit of yoga is that it can be done anywhere for students and have just as many physical health benefits as other sports and physical activities. It is recommended that students get at least 60 minutes of physical activity a day. While this may seem like a lot of time, in comparison to a child’s day it is not much time at all. If students can get the recommended amounts of physical activity every day they will see numerous health benefits in the future, including a less likely chance to reach obesity as well as many others health issues. Overall, when it comes to youth starting physical activity it comes down to exposure. Many students learn about the basic sports in physical education class, but yoga is not typically taught. This would be another learning opportunity for students as well as a relaxing form of meditation and physical activity. Instead of throwing children out of the room and giving them detention, teachers can send them to a Mindfulness Room, a Meditation Room, or even a Yoga Mat area where the student can reflect on why they had to leave class. After reflecting they can talk to staff about what happened and get a better understanding of the situation. Giving the students time to reflect and relax allows for a better attitude when returning back to join the class. This is great because the sooner a student can return with a positive attitude, the sooner they can get back to learning. A school in Baltimore also recently started adding yoga and meditation for students who misbehave. They have seen that there have been zero suspensions and fewer referrals for detention. All this simply through adding yoga and meditation. This is great for students because it shows that they are missing less class time and they are returning with positive attitudes. All these educational benefits and it is also improving their health. Get beyond Yoga as just a form of exercise. Children come to school to learn, something that should not be taken away from them when they misbehave. By allowing students to meditate, relax, and reflect students can miss less class time and learn again when re-joining the class. Although research has shown so many positive results for adults, it is still in the very early stages for children. The future is bright with the advances and improvements that were seen so far in schools across America. Teachers are just as stressed out and anxious as children are some days. They deal with hectic schedules, misbehaving children, and grading lots of papers. Many states have seen a decrease in the number of available teachers in recent years. This is likely due to the stressful environments and that fact that there are no measures being taken to reduce stress in their workplace. Numerous studies have proven that teachers have high stress and pressured environments. This makes many people steer away from a rewarding career. This is unfortunate when many school systems are in desperate need of teachers. Allowing students to take yoga sessions during detention mean teachers will need to teach the classes to them. This will also allow teachers to have a break and continue to teach other students in a peaceful learning environment. 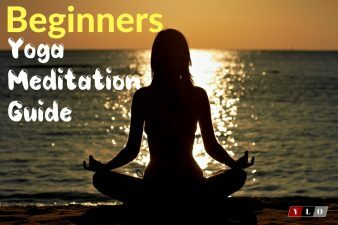 While teaching the yoga classes they will also be actively engaged in meditation and relaxation. This will allow teachers the many benefits of yoga as well as helping children. When you consider all the various factors, there are just so many benefits. These benefits are great for the kids, teachers, and the entire school system as it shows a new way to improve health both mentally and physically for students. Studies will be developed in the future to further prove all of the benefits for children. Some of the results may prove that yoga is even better for children than adults. Students are seen to have fewer detentions and better attitudes after yoga sessions. They receive the benefits of yoga both physically and mentally. Yoga is providing much more to them than sitting in detention. 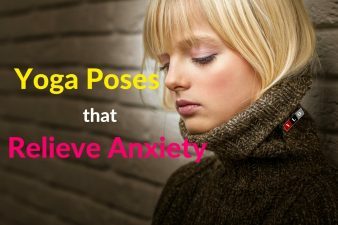 Once you start looking beyond yoga for adults only and open your minds to the benefits that yoga would give our children, you can see the benefits are never-ending. The question lies in why hasn’t your school decided to trade the negative detention for the many yoga benefits? What if your child’s school has changed over their detention and gone beyond yoga and how it is working. Our readers all are looking for information on what others are trying.